DESCRIPTION: The 409 Triplex consists of two, one bedroom units each comprising approximately 600 square feet of living space and one, two bedroom unit comprising approximately 800 square feet of living space. Each unit has its own individual entrance. The complex also contains a 10’ x 20’ garage unit which is rented with one of the units. The basement is unfinished but contains lockable storage for each unit. The apartments are furnished with modern baths, kitchens and appliances. All apartments have received new carpeting and laminates. The building was recently updated with new high speed internet cables. 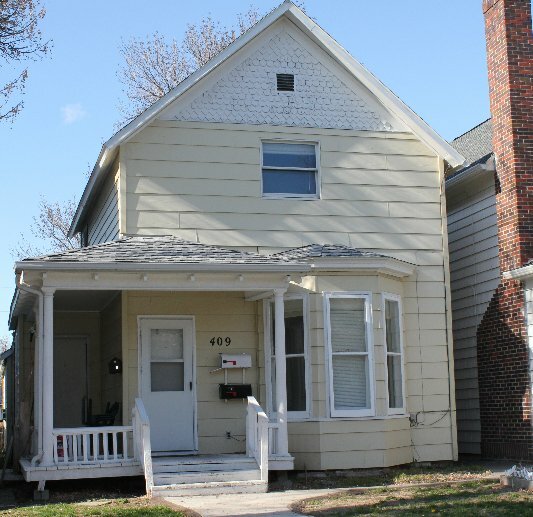 Call us if you are interested in this 3 unit complex that feels like a single family home with the convenience of a single monthly payment that includes all utilities, free laundry facilities and storage in the basement.